Search Results for "f stop"
A woman photographer opens and closes the aperture on photography film lens. She twists the rings that control f-stop and focus on photography lenses. 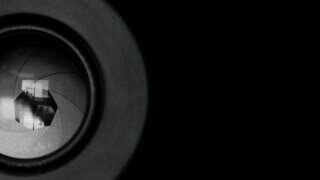 The opening of the aperture shrinks and grows changing how much light will enter the camera body. 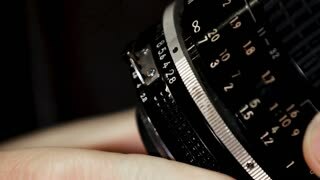 A woman photographer sits at a wooden desk and cleans a vintage film photography lens. The freelance entrepreneur dusts the filaments and rings that control the f-stop and focus on the camera gear. A woman photographer checks the aperture on a camera lens. She twists the rings that control f-stop and focus on photography lenses. 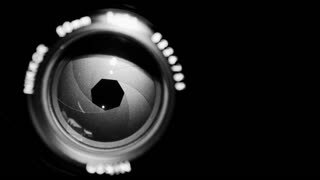 The opening of the aperture shrinks and grows changing how much light will enter the camera body. Dark Sun Clouds. Time-lapse of the sun moving across the sky through clouds. Shot through a ND filter and a high f-stop to highlight the sun and the light through the clouds, and giving the appearance of a black sky. Viewfinder camera recording 4k iso fstop. The viewfinder of a recording camera. Computer-generated, but with the shadows and subtleties of the real thing. Version with ISO and f-stop text. Viewfinder broken cam 4k iso fstop. 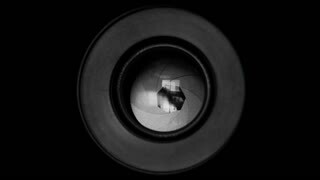 The broken viewfinder of a recording camera. Computer-generated, but with the shadows and subtleties of the real thing. Version with iso and f-stop text. Cars passing by on a bridge mid-day in the summer. Shot in 24 fps with a shutter speed of 1/50, ISO 100, and F-stop 13. A F-15 fighter jet taxis and stops.